Take form length, for example. It's just one of the many components you need to optimize, but best practices will tell you that both short and long forms perform well -- it all depends on whether you want to generate a lot of (potentially) lower-quality form submissions, or a smaller number of higher-quality submissions. 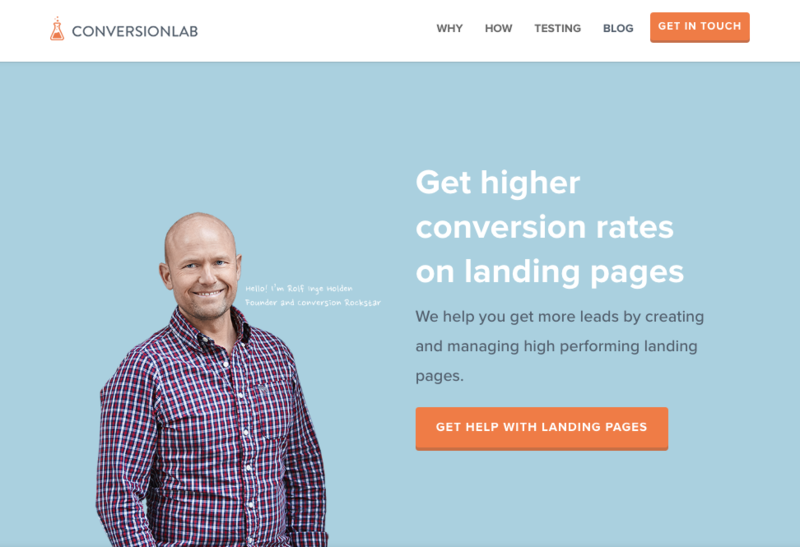 So if you're looking to up your landing page game, it's helpful to know what goes into a great landing page and see a few examples of these nuanced elements in action. 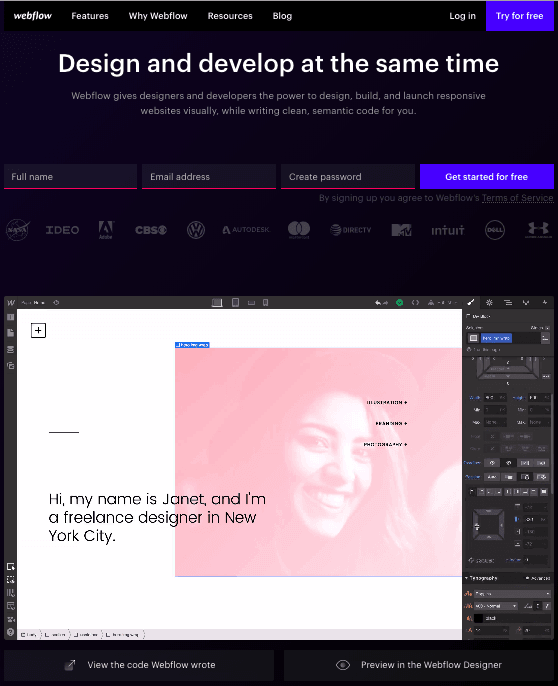 Surprisingly, when I started doing research into landing page examples, I realized there are hardly any sites out there with modern, impressive landing page designs that are more than just a sign-up form on a homepage. So, we decided to compile a list of landing pages we love ourselves. One big caveat here: I don't have access to the stats for these pages, so I can't tell you how well they convert visitors, leads, and customers. 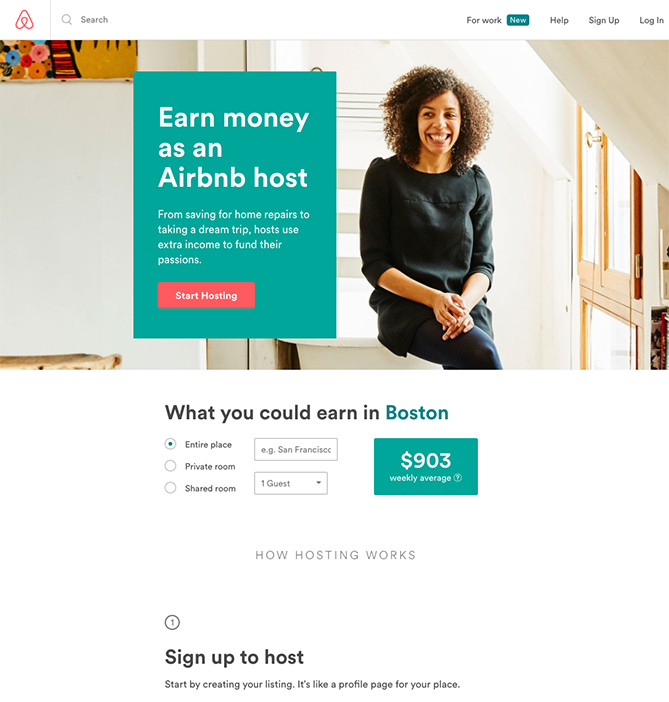 Still, these examples -- even those that are no longer active on the business's website -- have some of the best combinations of those nuanced landing page elements I've ever seen. Obviously, if you feel inspired to try any of these tactics on your own site, the only way to know whether they'll work for you for sure is by testing them out for yourself. 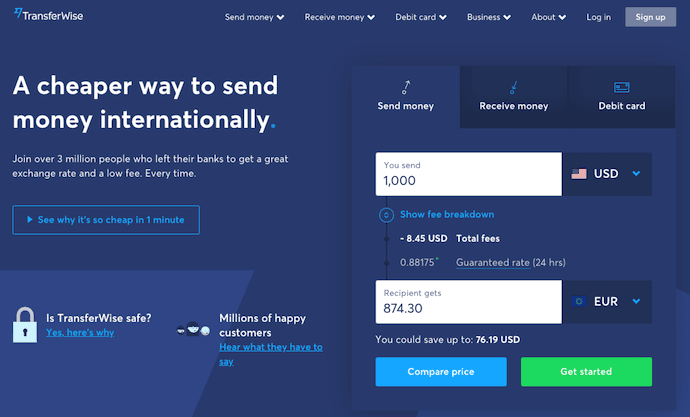 TransferWise allows you to send and receive money in different currencies, and its landing page, shown below, separates each individual action so you're not distracted by options that don't apply to you. 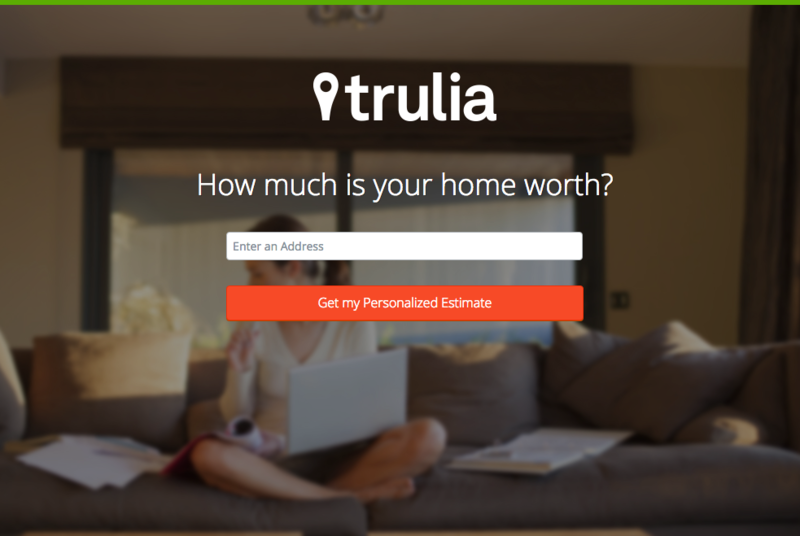 Each tab on this landing page produces a different call-to-action based on what you're signing up for -- each of them in a vibrant green box to highlight your next step after your three possible starting points. 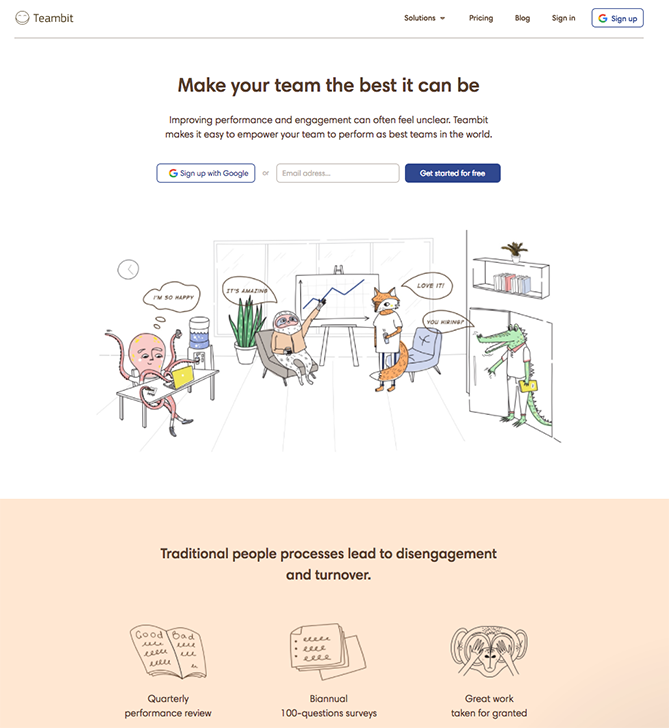 Teambit's landing page is perfect proof that you don't need to have a conventionally "fun" product or service offering to create a fun landing page. 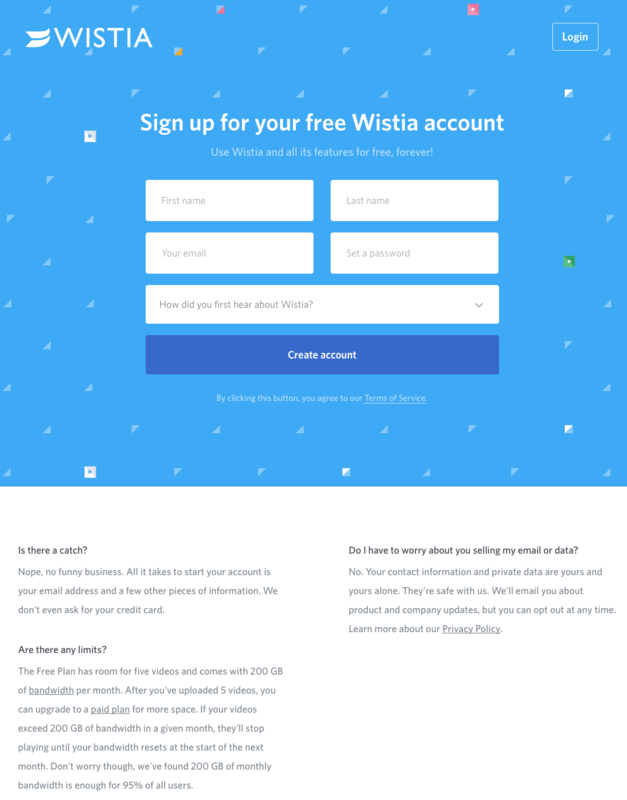 First up is Wistia's landing page for their Free Wistia Account. Right off the bat, you notice the one-field form to create your account -- the blue, minimally patterned background contrasts nicely with the bright white form field. 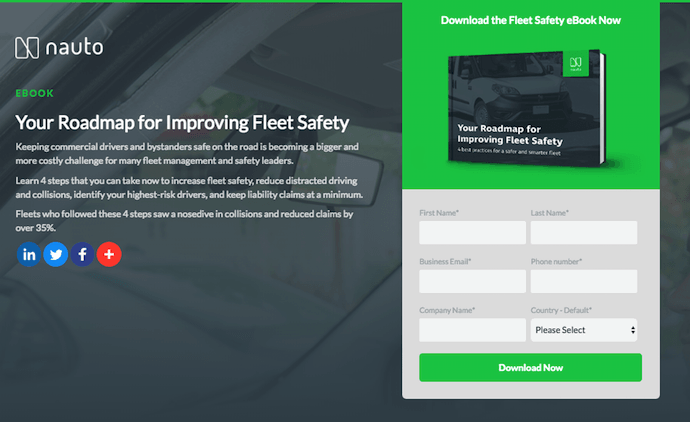 The length of the form field combined with the prominent placement eliminates nearly all friction to create an account ... but if you're having doubts, you can always scroll below to read answers to top FAQs. By separating these two sections with stark color contrast, Wistia makes it much easier for you focus on converting. At the top of the page, shown above, a warm photo of a car's interior hugs the lead-capturing form. The green "Download Now" button might've even been on purpose (on the road, green means go, after all). 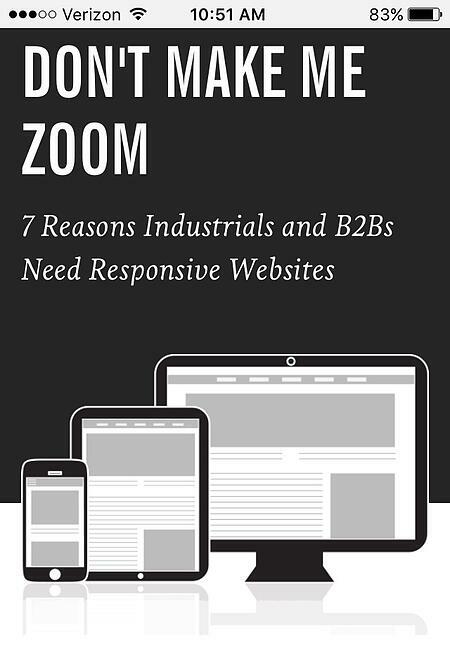 Scroll down, and you'll see another "Get the eBook" CTA to remind users what's waiting for them. 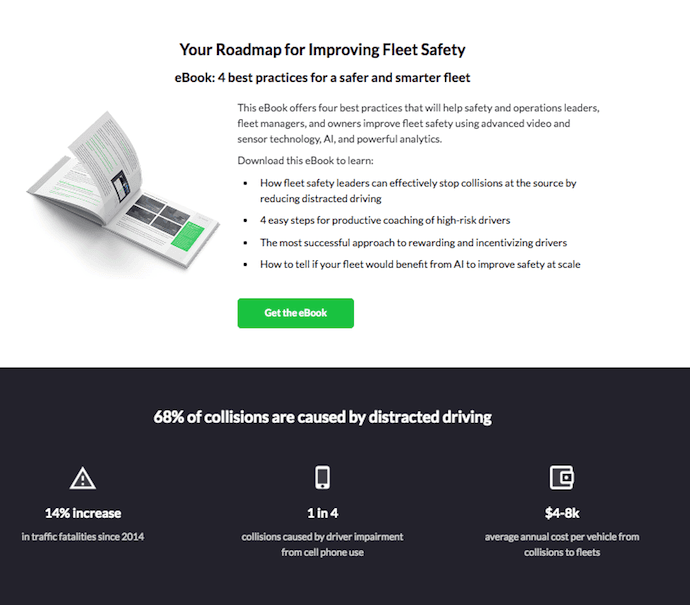 You'll also see three jarring statistics about car accidents to entice users to learn more. Check it out below. 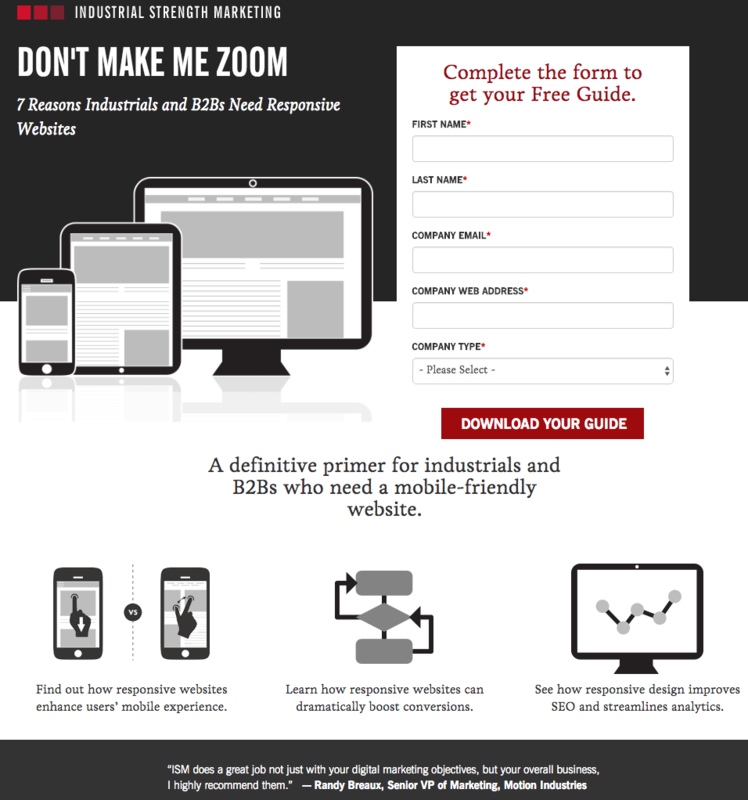 Right off the bat, this landing page pulls me in with a compelling, punchy header: "Don't Make Me Zoom." It directly speaks to a common experience most of us have had when we're browsing on our phones or tablets -- and it's a little sassy, too. But that's not the only thing keeping me interested in this landing page. Notice how the color red is strategically placed: It's right at the top and bottom of the form, drawing you even closer to the conversion event. Plus, this design is meta to boot: It looks and works great on mobile, too. 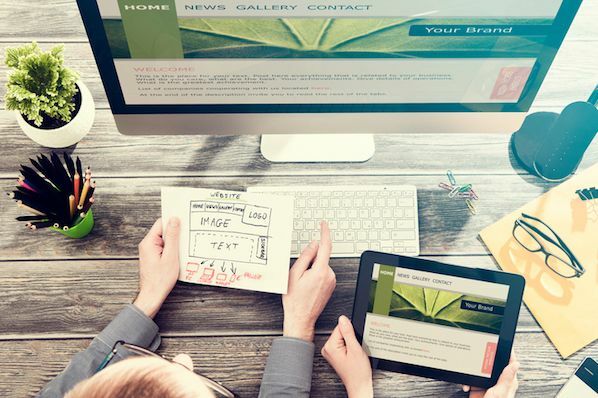 Keep in mind that a lot of visitors will be accessing your landing pages on their smartphones or tablets, and if the design of your website doesn't work well for them, they might give up and leave your page. The folks at Industrial Strength Marketing made the fonts and form field big enough so that visitors don't have to pinch-to-zoom to read and interact with the content, for example. Even if you don't speak Spanish, you can still appreciate the conversion capabilities of this HubSpot partner site. My two favorite features of the page? The form stays in a fixed, prominent position as you scroll through the site. 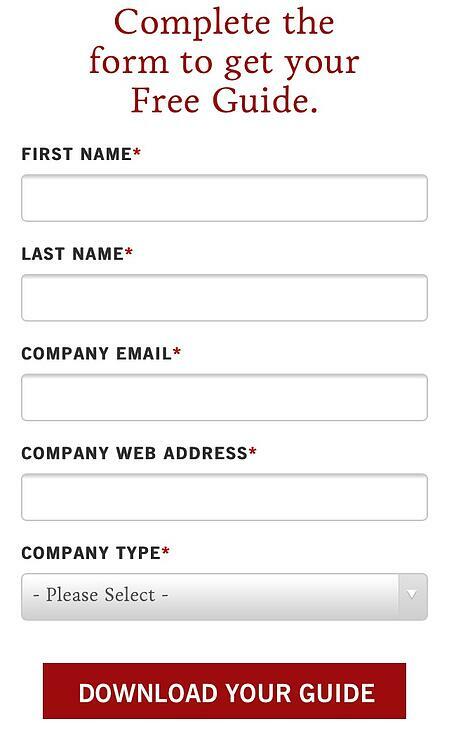 I also love the hands that serve as directional cues toward filling out the form and sharing the page with others. Sometimes the smallest details make the biggest difference. 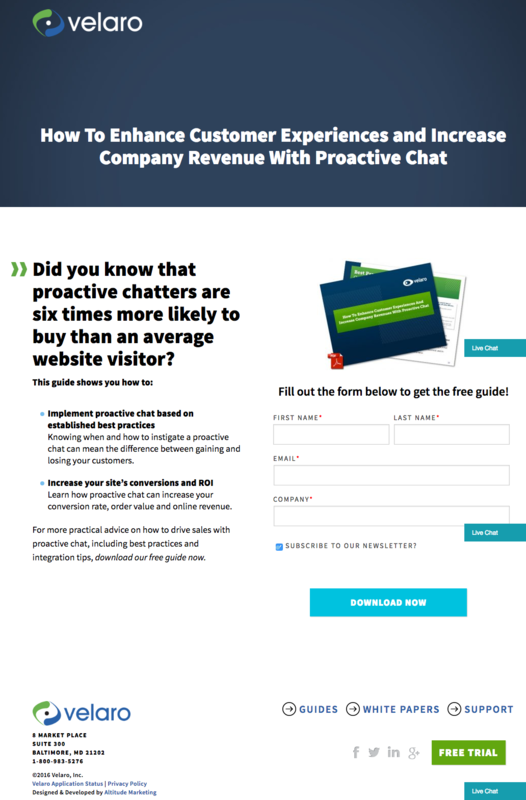 They're what make Velaro Live Chat's landing page awesome, for example. The free guide IMPACT is offering for download here also doesn't emphasize the download itself in the blue button that allows you to submit your filled-out form. 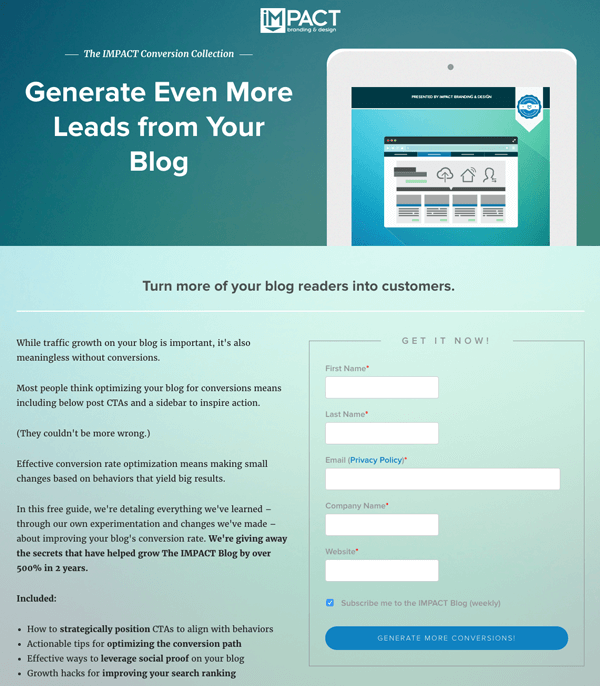 Rather, IMPACT is inviting you to "generate more conversions" -- putting the focus on what you stand to gain as a result of reading the guide. 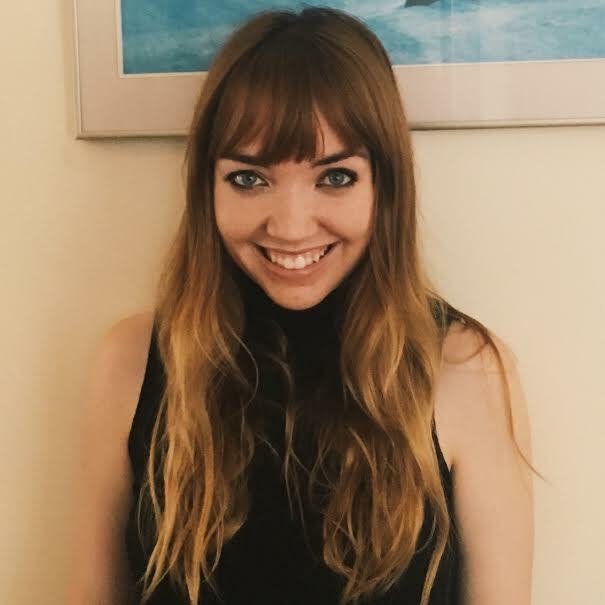 Landbot, a service that creates chatbot-based landing pages, puts their own product front and center on their chat-fueled landing page. Visitors are greeted by a friendly bot -- complete with emojis and GIFs -- who encourages them to provide information in a conversational format, instead of via a traditional form. 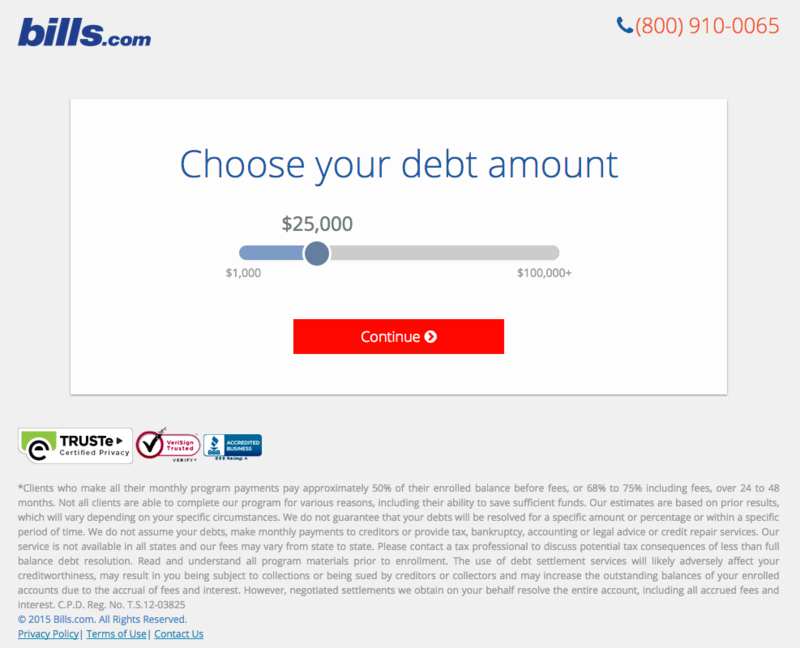 For a little contrast ... what about long landing pages? 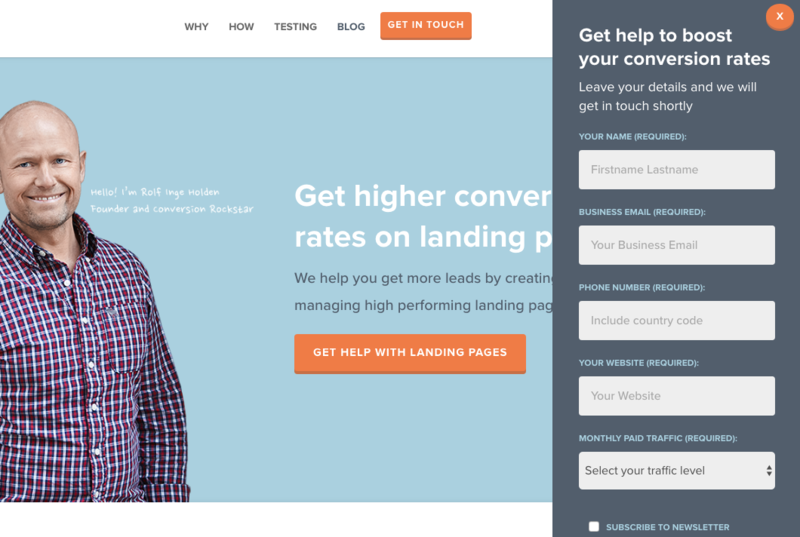 With just a few tricks, you can make even the longest landing page feel short. Webprofits' landing page below shows us how. Right at the top, there's a prominent CTA button to learn more -- with a nice contrast against the background so it stands out, and a downward arrow to encourage scrolling. 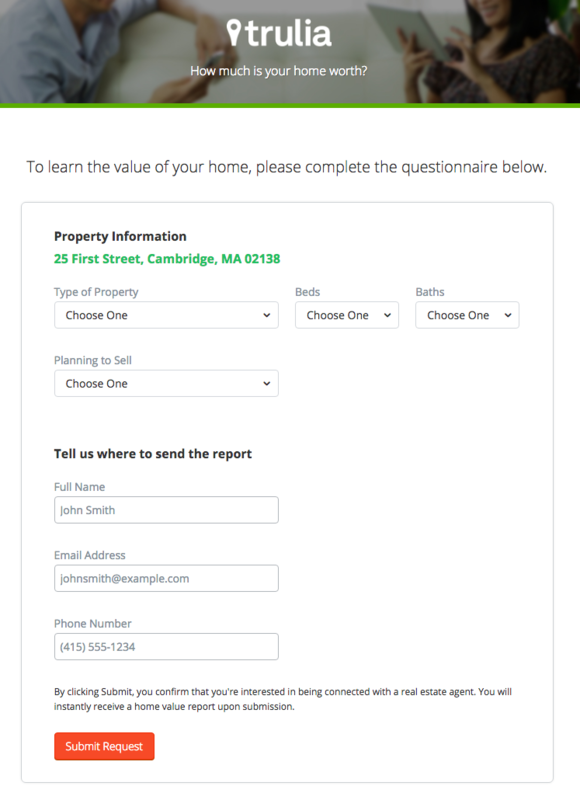 By not putting a form field up front, they help reduce friction and create an opportunity for visitors to learn more before being presented with a conversion option. They also make it easy for you to figure out what Webprofits actually does. The rest of the page offers detailed information about what you'll get when you give over your information. 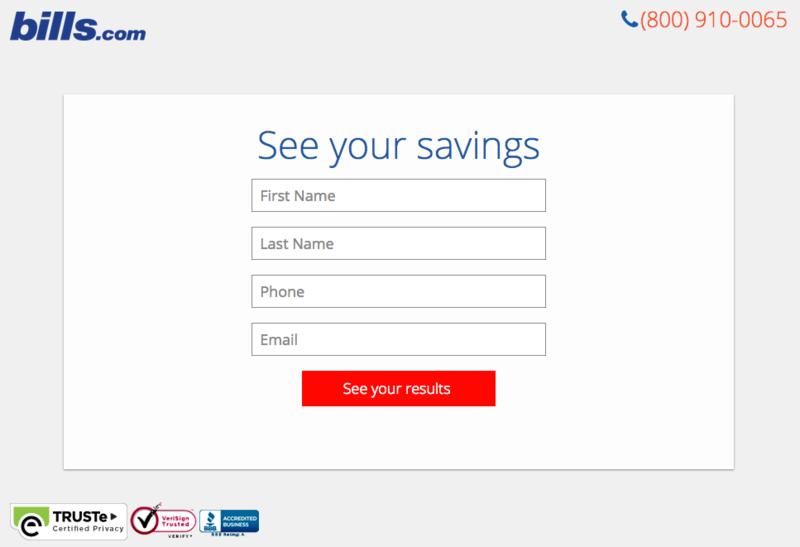 Plus, it includes strategic CTAs throughout to take you back to the top to fill out the form, like "Let's Talk." 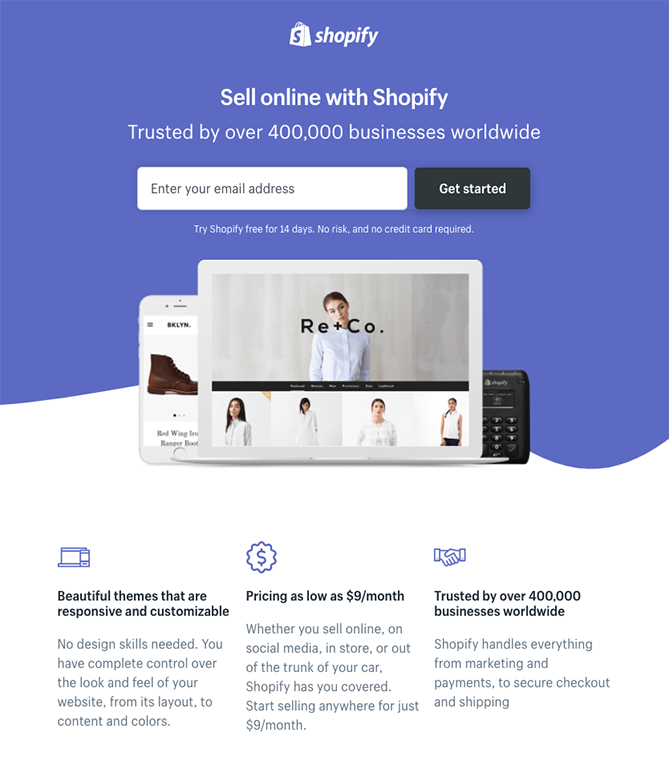 Sometimes, you've just got to stop and admire a landing page for being beautiful. 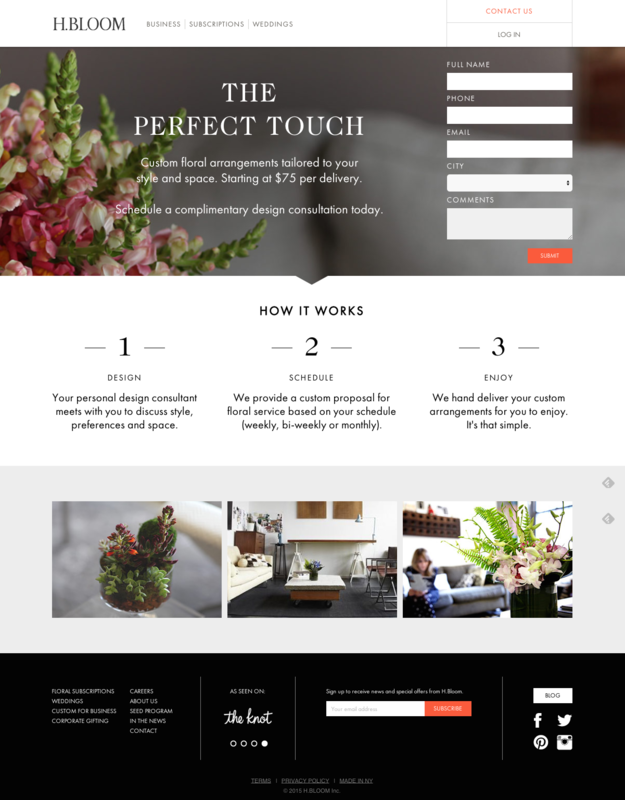 Using high-resolution photography and lots of white space, H.BLOOM's landing page is a pleasure to look at. Aside from its beauty, the page has some great conversions elements: an above-the-fold form, clear and concise description of what'll happen when you fill out the form, and even the bright orange "Submit" button. The only thing we'd change up? The copy on the "Submit" button -- that could be more specific to the offer at hand. While I wouldn't typically include an example of a homepage with a form on it in a post about landing pages, this website is special. The homepage is the entire website -- the navigation links just take you to the information below. I love how you don't have to leave the page to fill out the form, yet the form won't feel intrusive to casual website visitors.